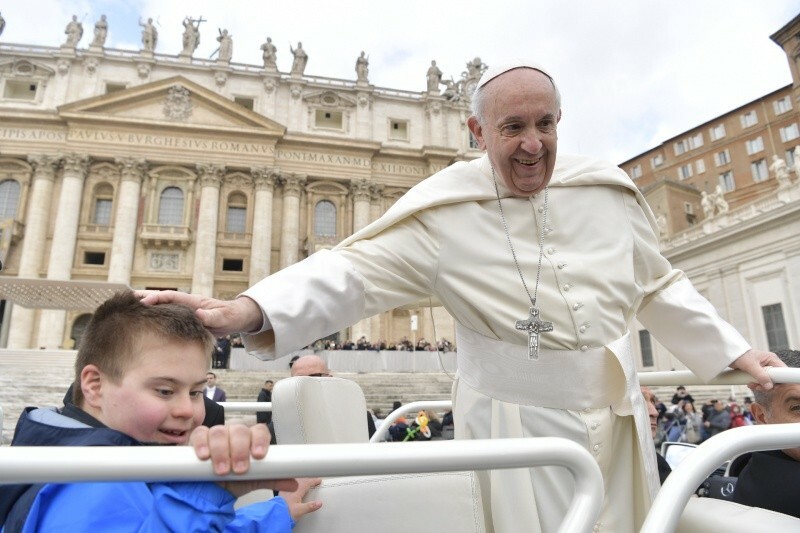 On Wednesday morning, 28 March 2018, Pope Francis dedicated his General Audience to the Easter Tridiuum, speaking to thousands of pilgrims from Italy and other countries around the world in St. Peter’s Square. 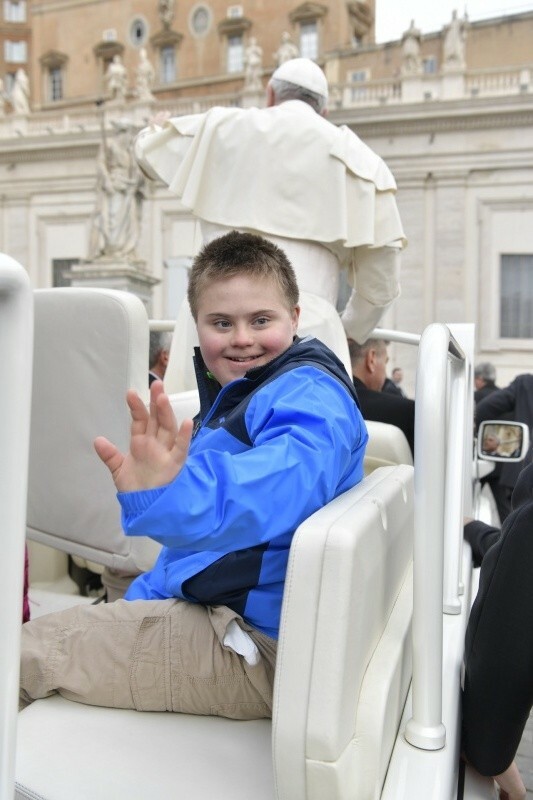 There was also a powerful gesture of an organic “Yes to life.” A Down Syndrome boy accompanied the Pope in the popemobile. A yes to the unborn life is made credible with a yes to life after birth. Today I would like to pause to reflect on the Easter Triduum which begins tomorrow, to look a little more closely at what the most important days of the liturgical year represent for us as believers. I would like to ask you a question: which feast day is the most important of our faith: Christmas or Easter? Easter, because it is the feast of our salvation, the feast of God’s love for us, the feast and the celebration of His death and Resurrection. And for this I would like to reflect with you on this feast, on these days, the days of Easter, until the Resurrection of the Lord. These days constitute the memorial of a single great mystery: the death and resurrection of the Lord Jesus. The Triduum begins tomorrow, with the Mass of the Lord’s Supper “in Coena Domini”, and will end with the Vespers of the Sunday of the Resurrection. Then comes Easter Monday, to celebrate this great feast: one more day. But this is post-liturgical: it is the family feast, it is the feast of society. 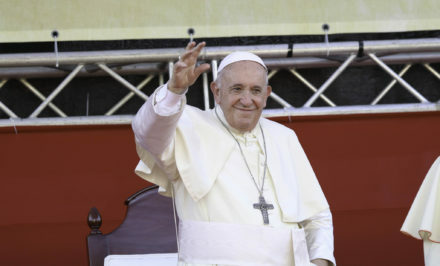 It marks the fundamental stages of our faith and our vocation in the world, and all Christians are called to live the three holy days – Thursday, Friday, Saturday; and Sunday, it is understood, but the Sabbath is the resurrection – the three Holy Days as, so to speak, the “matrix” of their personal life, of their life and community, as our Jewish brothers lived the exodus from Egypt. 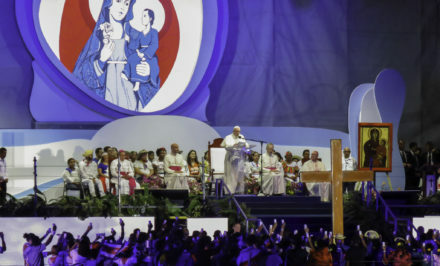 These three days represent to the Christian people the great events of salvation worked by Christ, and thus they project them into the horizon of his future destiny and strengthen them in their commitment to witness in history. On Easter morning, retracing the steps experienced in the Triduum, the Song of the Sequence, that is a hymn or a sort of Psalm, will solemnly make heard the announcement of the resurrection; and he says: “Christ, our hope, has risen, He will precede His people in Galilee”. This is the great affirmation: Christ is risen. And many peoples of the world, especially in Eastern Europe, greet each other on these Easter days not with “good morning” or “good evening” but with “Christ is risen” to affirm the great Easter greeting. “Christ is risen”. 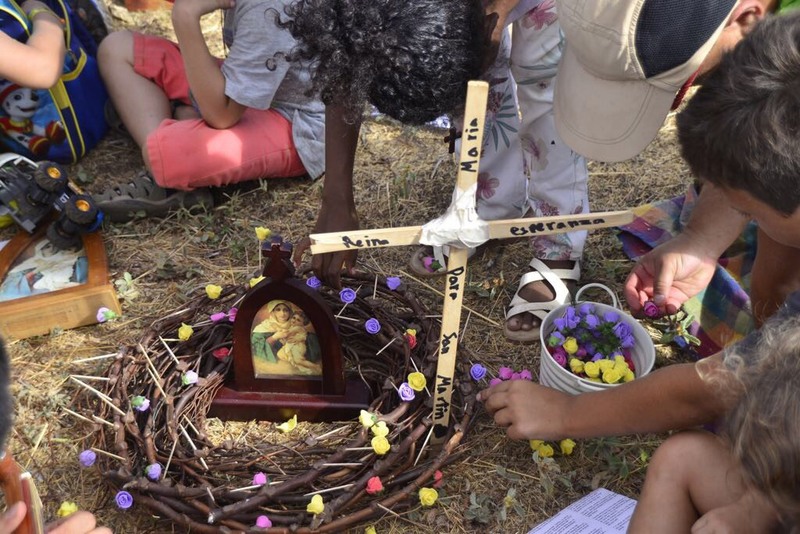 In these words – “Christ is risen” – the Triduum culminates in emotional exultation. They contain not only an announcement of joy and hope, but also an appeal to responsibility and mission. And it does not end with the Easter cake, the eggs, the parties – even if this is nice because as it is a family celebration – but it does not end with that. There begins the journey to the mission, to the proclamation: Christ is risen. 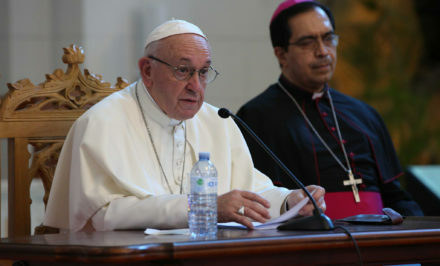 And this announcement, to which the Triduum leads us by preparing us to welcome it, is the centre of our faith and of our hope, it is the core, it is the announcement, it is – a difficult word, but which says everything – it is the kerygma, which continually evangelizes the Church and that it is in turn sent to evangelize. Saint Paul summarizes the Paschal event in this expression: “Christ, our Passover lamb, has been sacrificed” (1 Cor 5: 7. He was immolated. Therefore – he continues – “And he died for all, that those who live should no longer live for themselves but for him who died for them and was raised again” (2 Cor 5: 15). Reborn. And because of this, people were baptized on Easter Sunday. On the night of this Saturday too I will baptize here, at Saint Peter’s, eight adults who are beginning their Christian life. And it all starts because they will be born again. And with another synthetic formula Saint Paul explains that Christ “He was delivered over to death for our sins and was raised to life for our justification” (Rom 4: 25). The only One, the only One Who justifies us; the only One Who enables us to be born again is Jesus Christ. Nobody else. And for this you do not have to pay anything, because the justification – getting it right – is free. And this is the greatness of Jesus’ love: He gives His life for free to make us holy, to renew ourselves, to forgive us. And this is the core of this Easter Triduum. 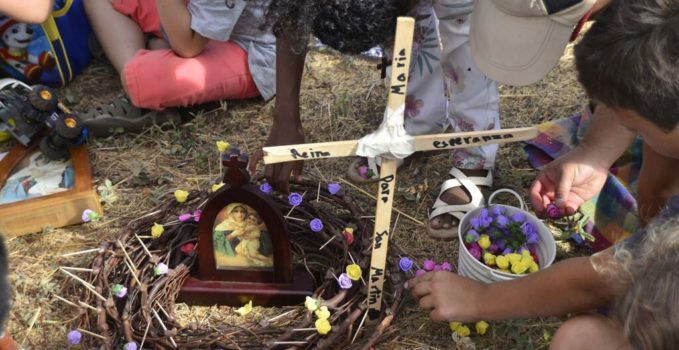 In the Easter Triduum, the memory of this fundamental event becomes a celebration full of gratitude and, at the same time, renews in the baptized a sense of their condition of newness, which the Apostle Paul expresses: “Since, then, you have been raised with Christ, set your hearts on things above, […]not on earthly things” (Col 3,1-3). Looking up, looking at the horizon, broadening our horizons: this is our faith, this is our justification, this is the state of grace! Indeed, for Baptism we rose with Jesus and died to the things and to the logic of the world; we are reborn as new creatures: a reality that demands to become a concrete existence day by day. A Christian, if he really lets himself be cleansed by Christ, if he really lets himself be stripped by Him of the old man so as to walk in a new life, while remaining a sinner – because we all are – can no longer be corrupted. Jesus’ justification saves us from corruption, we are sinners but not corrupt; one can no longer live with death in the soul, nor can one be the cause of death. And here I must say something sad and painful … There are fake Christians: those who say “Jesus has risen”, “I have been justified by Jesus”, I am in new life, but who live a corrupt life. And these fake Christians will end badly. The Christian, I repeat, is a sinner – we all are, I am – but we have the certainty that when we ask forgiveness, the Lord forgives us. The corrupt pretends to be an honourable person, but in the end there is rot in his heart. Jesus gives us a new life. The Christian can not live with death in the soul, not even be a cause of death. Let us think – so as not to go far – let us think at home, let us think of so-called “mafia Christians”. But these Christians do not have anything: they say they are Christians, but they bring death into the soul and to others. Let us pray for them, that the Lord may touch their soul. The neighbour, especially the smallest and the most suffering, becomes the concrete face to whom we can give the love that Jesus has given to us. And the world becomes the space of our new life as the resurrected. 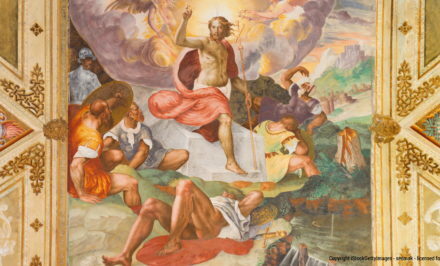 We have risen again with Jesus: standing, with our heads held high, and we can share the humiliation of those who even today, like Jesus, are in suffering, in nakedness, in need, in solitude, in death, to become, thanks to Him and with Him, instruments of redemption and hope, signs of life and resurrection. 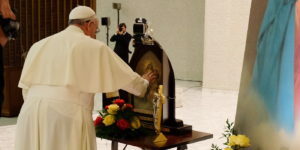 In many countries – here in Italy and also in my homeland – there is the custom that when Easter day arrives, when the bells are heard, mothers and grandmothers, they take their children to wash their eyes with water, with the water of life, as a sign of being able to see the things of Jesus, new things. In this Easter let us allow our soul to be cleansed, let us cleanse the eyes of the soul, to see beautiful things, and to do beautiful things. And this is wonderful! This is precisely the Resurrection of Jesus after His death, which was the price for saving all of us. Dear brothers and sisters, let us prepare ourselves to live well this coming Holy Triduum – it begins tomorrow – so as to be ever more deeply joined with the mystery of Christ, Who died and rose for us. May we be accompanied on this spiritual journey by the Blessed Virgin, who followed Jesus in His passion – She was there, she looked, she suffered … – she was present and joined with Him under her cross, but she was not ashamed of her Son. A mother is never ashamed of her son! She was there, and received in her maternal heart the immense joy of the resurrection. May she obtain for us the grace of being inwardly involved in the celebrations of the coming days, so that our heart and our life may truly be transformed. And in leaving these thoughts to you, I offer you all best wishes for a happy and holy Easter, together with your communities and your loved ones. And I advise you: on Easter morning, take the children to the tap and have them wash their eyes. It will be a sign of how to see the Risen Jesus.